Great for pets with dry, itchy skin, or when you simply want more moisture for your dog or cat's coat. 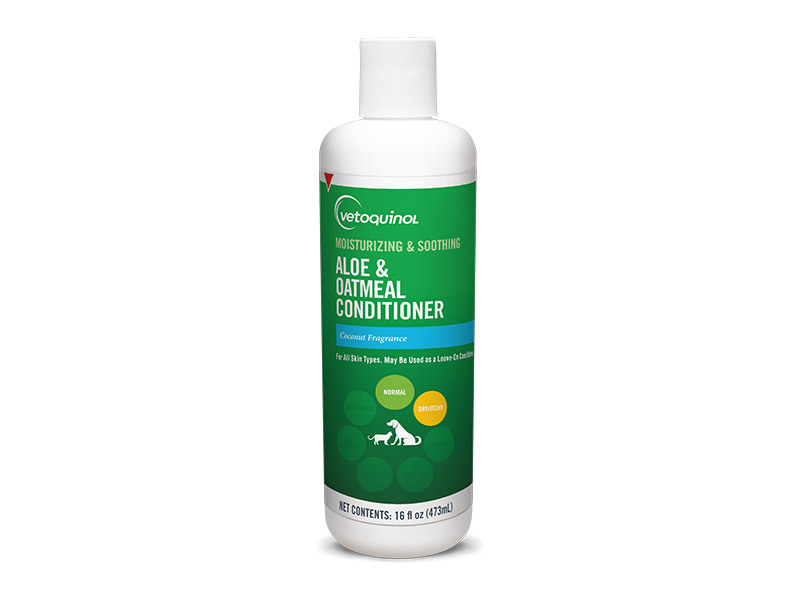 The no-rinse Aloe & Oatmeal Conditioner contains a proprietary blend of natural soothing agents, moisturizers, and vitamins. Consult your veterinarian before using Aloe & Oatmeal Conditioner. Follow the recommended administration on the package, unless otherwise instructed by your veterinarian.